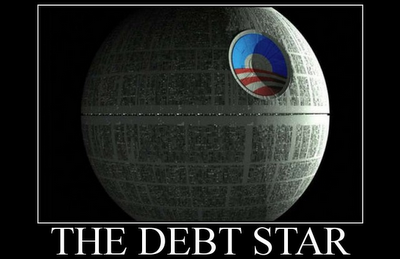 The White House has finally responded to a petition to build a Death Star, and the answer is no. Most importantly, “the administration does not support blowing up planets.” The petition to “secure resources and funding, and begin construction of a Death Star by 2016,” received 34,435 signatures before the White House issued a response. Paul Shawcross, Chief of the Science and Space Branch of the White House Office of Management and Budget, explained the decision in a detailed response. He begins by acknowledging that while national defense and job creation are important, the White House can see several issues with the proposal. Shawcross said currently we are too busy working on construction and completion of our Debt Star. This entry was posted on January 13, 2013 at 4:56 am and is filed under Uncategorized. You can follow any responses to this entry through the RSS 2.0 feed. You can leave a response, or trackback from your own site.